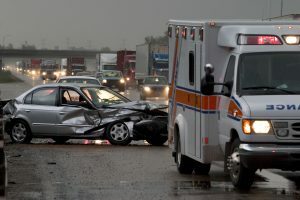 If you or a loved one has been injured, disabled or killed as a result of a traffic collision, whether the driver, passenger, or a pedestrian, ANAND LAW will ensure that you and your family receive the fair treatment and compensation that you are entitled to. We provide compassionate yet aggressive representation to ensure that all avenues of justice are pursued. We take accident & injury cases on a No Win/No Fee basis—we don’t get paid unless we recover for you. Do not let the insurance companies treat you as just another number. Even your own insurance company does not have your best interest at hand. ANAND LAW will vigorously seek to provide your family with just compensation for medical bills, pain & suffering, property damages, and lost wages. If we do receive an adequate settlement offer, we will sue the responsible parties, and, if necessary, take it all the way to trial. What Does Pain & Suffering Refer to? In addition to recovery for economic damages, a party injured due to the negligence of another is entitled to recover noneconomic losses for pain, suffering, inconvenience, physical impairment, disfigurement and other nonpecuniary damage. These damages are also known as emotional distress damages, and include psychological hardships, loss of ability to engage in life activities, permanent scars, embarrassment, humiliation, and hardship. The insurance companies fight hard to limit your recovery and routinely claim that pain and suffering is made up. ANAND LAW PC will ensure that all forms of pain & suffering damages are investigated and the recovery you receive is maximized. What is Prop 213, and How Does it Affect My Claim? You were in the convicted of a felony, and injuries stem in part from the commission of this felony. You got into an accident on private property. If Prop 213 applies, you are still entitled to economic damages, which include medical bill and lost wages. However, you will be prohibited from any recovery for noneconomic damages, which include pain and suffering/emotional distress. ANAND LAW PC will thoroughly investigate the insurance policies that may be applicable, the exceptions to Prop 213 (including those listed above), and ensure that no money is left on the table. The insurance companies have fought hard to prevent you from recovering what you deserve. We fight hard to combat this practice. Call us today – there is no obligation on your part – if we handle your matter, you will have the peace of mind knowing that we will obtain every penny possible for you.